Hannah Rose Allen speaking at the March for LIFE in Washington D.C.
My life changed forever at the age of 19, when I had an unplanned pregnancy. Growing up in a pro-life family, I never dreamed my beliefs would be tested. It was much less complicated to think of it as a pregnancy, rather than as a baby. I knew what I had to do: have an abortion. Face the consequences of my actions; tell my family what I had done; shame them with an unplanned, teenage pregnancy before marriage; carry and deliver a baby; have shattered plans for my future; or possibly go through the pain that is sure to come with adoption? No, I simply couldn’t. I was weak and vulnerable. I had no other choice, or so I thought. If I had known the depression and guilt that would follow, I would have chosen a different path. I would have given my child a choice. But, in the midst of my heartache and despair, I regret having to say that’s not the choice I made. I convinced myself that ending my pregnancy at only six weeks gestation wasn’t really an abortion. I wish I had known that my child’s tiny heart had already begun beating. Having an abortion had to be okay because it was legal, I thought to myself. The culture I lived in told me it was my choice and that it wasn’t a big deal. How did I start to believe the lies? My spirit was breaking over this decision, this impending loss. The tears were proof of this. The tears were proof that deep inside, my heart knew that I was already a mother who was carrying her first babe. On February 6, 2009, I took the RU-486 pill, and after a night of darkness, it was over. I was relieved to get back to my normal life. I wanted to move on, as if the nightmare had never happened, and forget the immense pain. I was deceived into thinking that I could forget about it. The counselor at Planned Parenthood had told me that some initial sadness after my abortion would be normal, but after a couple days, if I was still feeling depressed, that wouldn’t be normal, and I should seek help. How wrong she was. 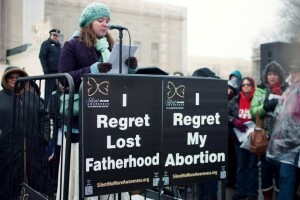 Much of those days before and after my abortion are a blur of heartbreak and tears. Sleepless nights were spent, with agony at the depths of my heart and soul, rattling me to the core. There was nothing “wrong” with me for feeling that way. Trying to forget what I had done, over the next few months, I sought comfort for my wounded, aching heart through partying, drinking, and living promiscuously. I was digging myself deeper and deeper into a pit of destruction and despair. 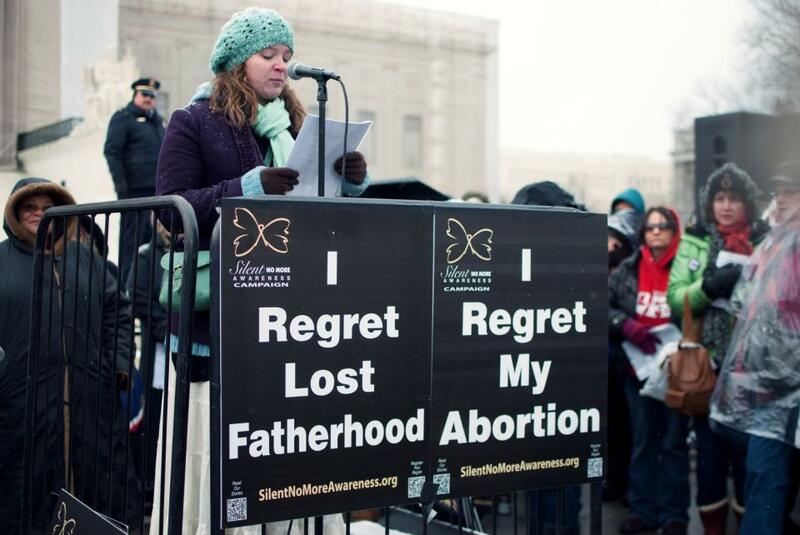 Four months after my abortion, I was pregnant…again. I fooled myself into thinking I would get my life together after what I thought was another necessary abortion. The appointment was set at Planned Parenthood. However, Jesus was fighting for me and for my unborn baby. God showed me that if I chose to have another abortion, I couldn’t imagine the pain and darkness that would follow. But if I chose life, I couldn’t imagine the beauty that He would bring. Instead of walking through those clinic doors a second time, I chose to walk into the light towards freedom. It was as if the reasoning for abortion fell away when I knew that God would be with me every step of my difficult journey. I was at peace knowing I was making the right choice – the choice of life. On March 16, 2010, ready to deliver my full-term daughter, I was told the devastating news that her perfect little heart was no longer beating. I had to deliver the body of my precious flower, Lily Katherine, who had already whispered goodbye before I said hello. I had to give her enough hugs and kisses to last a lifetime. I watched as her tiny white casket was lowered into the opened earth and was showered with tears, rose and lily petals, and dirt. God saved Lily from abortion and used her life to save mine. He used her life to break my chains of sin and rebellion. He used her life to restore family relationships and friendships. He used this sweet unborn baby girl to bring her mommy back to Jesus. My entire life and future has been changed by two babies who never spoke a word or took a breath. Yet God is speaking through them, saying just how precious and valuable each individual life is. He has a plan and purpose for each beautiful life created in His image. He can take our deepest sorrow and sin and work them together for our good and His glory! Through choosing life for my second child, God brought peace and healing to my heart that was broken from aborting my first. Because of the lives of my two little ones, I now have a passion and a purpose that I wouldn’t have if I hadn’t had these experiences. When you choose life, no matter the outcome, it is the right choice, a choice I’ve never regretted! However, I will forever regret my abortion and long for the first child of my womb. My precious Luke Shiloh, my son whom I will only ever know in Heaven. I have realized that all the things that made me choose abortion were temporary problems. Even the things that seem so overwhelming in the moment won’t always feel that way. Luke Shiloh’s name means “light and peace,” because that is what God has brought in all of this. He has brought light in the midst of the deepest darkness and peace to my wounded, aching heart. I truly believe that the Lord has revealed that my first baby was a boy. Lily Katherine’s name means “pure and innocent,” for she is a symbol of my redemption in Jesus Christ. And she will forever remain pure and innocent. Jesus washes us white as snow. Though the Lord has healed, redeemed, and restored me in ways I never could have imagined, there will always and forever be a missing piece of my heart, a void that cannot be filled this side of Heaven. Luke Shiloh and Lily Katherine, I once wanted to be rid of you and hoped nobody would ever find out you even existed. Now, I want the world to know you are my children. I promise to always be your voice and to honor you in whatever way I can for as long as I live. Sharing my story isn’t easy. Yet it’s because of this promise to my two children of Heaven and my desire to bring glory to Jesus Christ that I do share. I will speak when someone asks me to, and I will write when given the opportunity. I want all who hear my story to walk away with these truths in their heart: all life is sacred and beautiful and deserves to be protected. Jesus can rescue and redeem us, no matter how far from Him we may feel. Abortion hurts men and women. There is healing to be found; however, you will carry that scar of abortion with you forever. If you choose life, no matter the outcome, you will have no regrets. Previous ArticleMommy, Why Do We Pray? You have endured a personal catastrophe. Bless you for sharing.